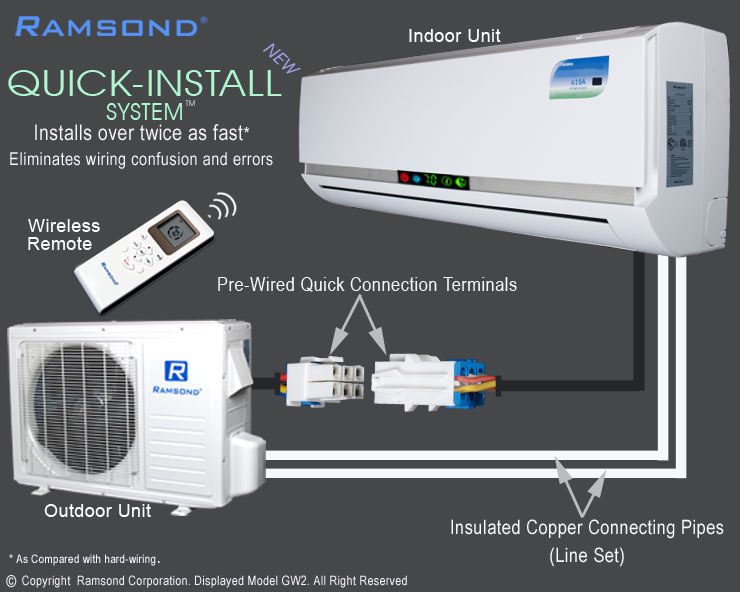 Ramsond Corporation introduces its ultra-efficient Ductless Mini Split Air Conditioner System model 27GW3. 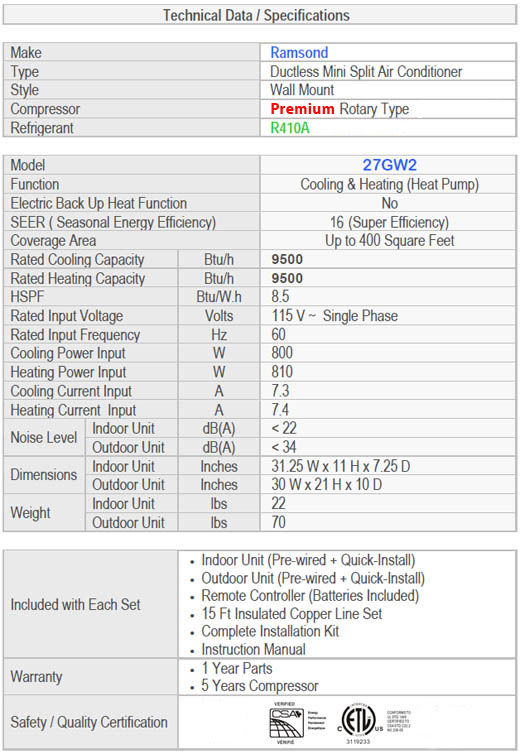 This new 9,500 BTU (with 9,500 BTU heat pump) model is equipped with Premium rotary compressor and pre-charged with the most advanced R410 refrigerant. This system is a perfect union of modern technology, efficiency, function and design It is not only super efficient (SEER 16.0) and super silent, but pleasing and neutral in appearance and styling. The interior unit's flat panel style blends perfectly with any interior design element. The perfect combination of function and design have made this highly advanced Ramsond system one of the most sought after systems among both HVAC and interior design professionals. 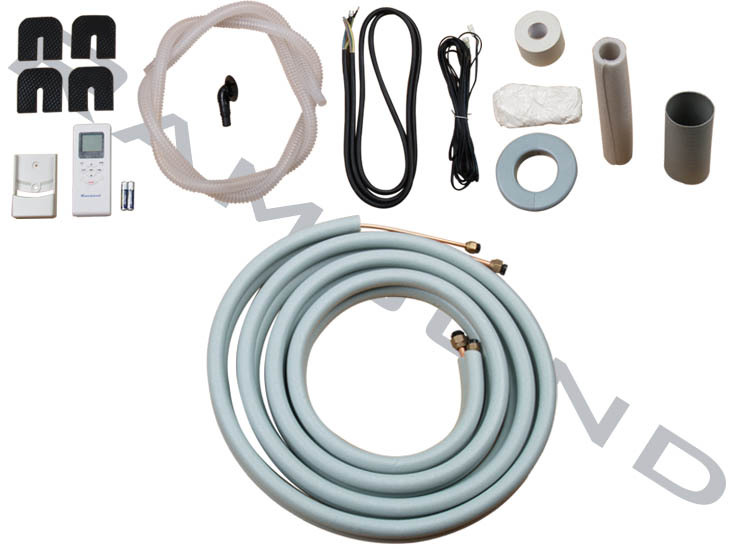 With these features of the QUICK-INSTALL™ system, the installation time is cut in half because the indoor and the outdoor unit are pre-wired and equipped with a quick-connection terminal. 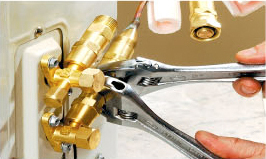 The quick-connection terminals also eliminate many of the wiring mistakes during installation which lead to permanent damage to system. 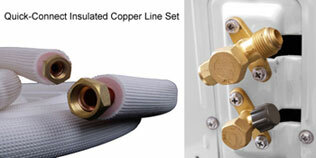 With the QUICK-INSTALL™system it is now much easier and cheaper to install these units. Both the indoor and the outdoor units are pre-wired and equipped with quick-connection terminals. 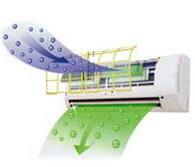 All Ramsond ductless systems are equipped with two (2) anti-mold dust/particle filters, along with two (2) filter cartridges. They are installed under the front panel cover of indoor unit. These filters are easily washable. 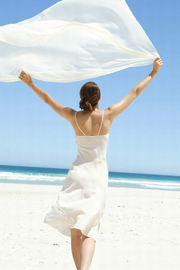 They ensure a constant circulation of fresh, healthy and dust free air. Additionally, the blue colored hydrophilic aluminum foil in indoor unit are designed to stay free of water contamination, enhancing heat exchange efficiency and air quality. 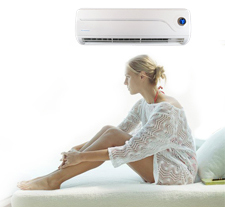 Ramsond ductless mini split air conditioners are among the quietest (both indoor and outdoor unit) in the market. The indoor unit has a virtual silent operation. So silent that some of the world's most renowned recording studios utilize Ramsond ductless systems in their sound-rooms. Also, equipped with SLEEP MODE function, with the touch of a button, your Ramsond mini split system is set to automatically adjust the room temperature during your sleep. Multidimensional oscillating louvers of Ramsond ductless systems ensure the uniform flow of air throughout the room. By selecting the 'SWING' feature on the wireless remote control, the louvers will continuously move in a uniform up/down movement to evenly spread the cool/hot air. They same feature would allow the louvers to be set in a stationary, single direction position which will focus the flow of air to a particular area of the room. All orders are typically shipped from our warehouse within 1-2 business day from receipt of payment. Shipping method is via ground carrier. Transit times usually range from 2-7 business days, depending on your location.